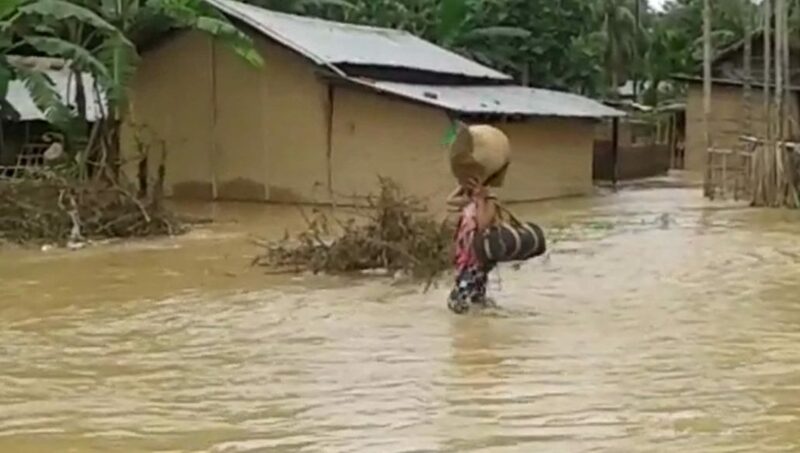 Incessant rain continued to wreak havoc at several places across Assam on Friday. In Howraghat Assembly constituency of Karbi Anglong in Assam, the Jamuna River has breached its embankment at five places. The places where the river has breached the embankment are Panditghat Pub Pagla Than, Panditghat Jamuna Pub Pagla Than and three others in between them. The recently constructed embankment near Jamuna Pagla Than Shiva Mandir has also been breached. Areas under Howraghat Assembly constituency including Mistrybali, Panditghat Pagla Than, Gajalipar, Jjamuna Gaon, Jamuna Japong Than, Dighali Ati and Hatipara are all inundated which included the paddy crop fields.